Dreams are pure imagination. By transcribing them I attempt to give shape to what never really was. With painting I probe visual experience, uncertain and ephemeral. A favorite book, Le Grande Meaulnes by Henri Alain-Fournier recounts a young man’s search to return to a world he stumbled upon while lost in a wood. Deeply atmospheric passages follow his quest for the unattainable; for what might well have been a dream. This is what the chase of art feels like to me. I see a blue light and seek a path to it. But which blue light? What did I see? I conjure multiple observations; snippets of reality and imagination to link to a phantom past. 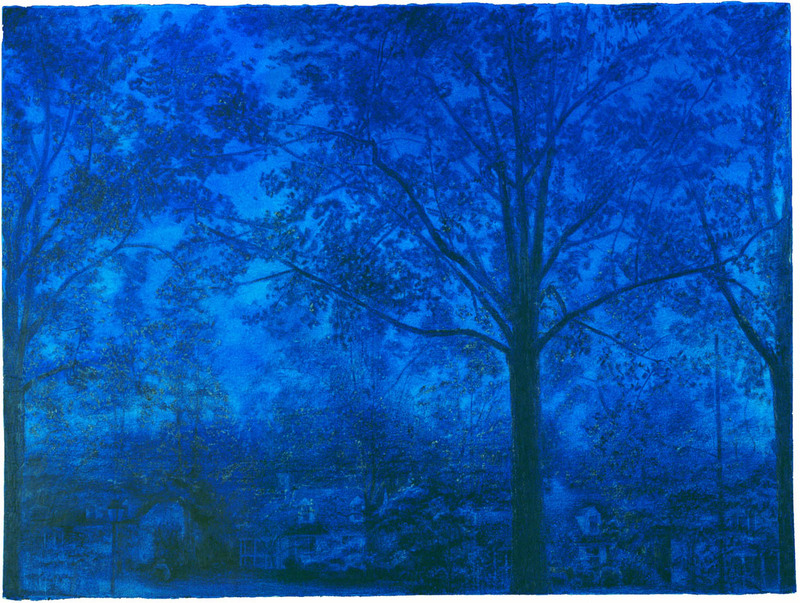 Such is the setting of my drawing, Blue Twilight (above). My artistic practice is based on longing for a place I haven’t really known. 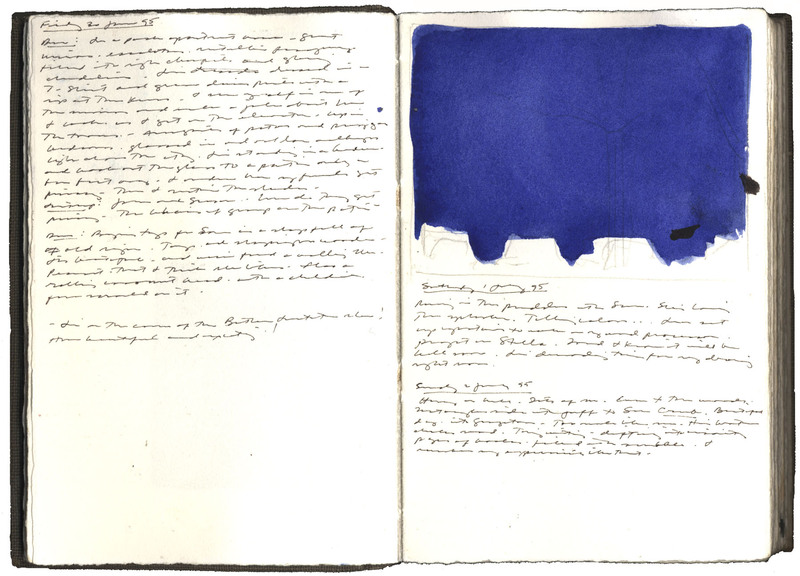 Study for Blue Twilight, journal entry dated 1 July 1995, watercolor, graphite, and pen and ink on Arches paper in bound volume, page size: 6 x 4 inches.